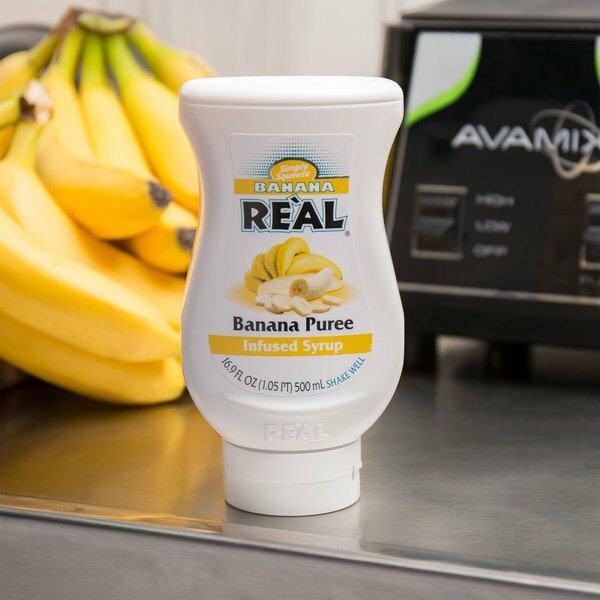 Create refreshing mixed drinks with exciting new flavors using this Banana Real puree infused syrup! Made with 100% cane sugar and banana puree, this premium syrup features the naturally-delicious taste of a Cavendish banana from Costa Rica to provide tropical paradise in a drink! 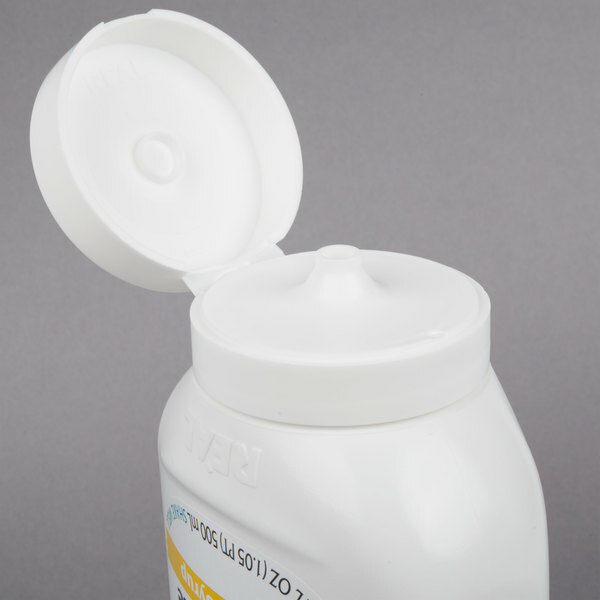 It dissolves easily in a large variety of beverage applications. Use it for signature drinks at your bar or beverage service, such as banana daquiris or coladas, or alcohol-free drinks like smoothies. Smooth and luscious with a high flavor impact, it's also great for drizzling on your cheesecakes, ice creams, and even blending with syrup for your pancakes! This banana infused syrup is packaged in an easy-to-use squeeze bottle that maximizes handling and dispensing. 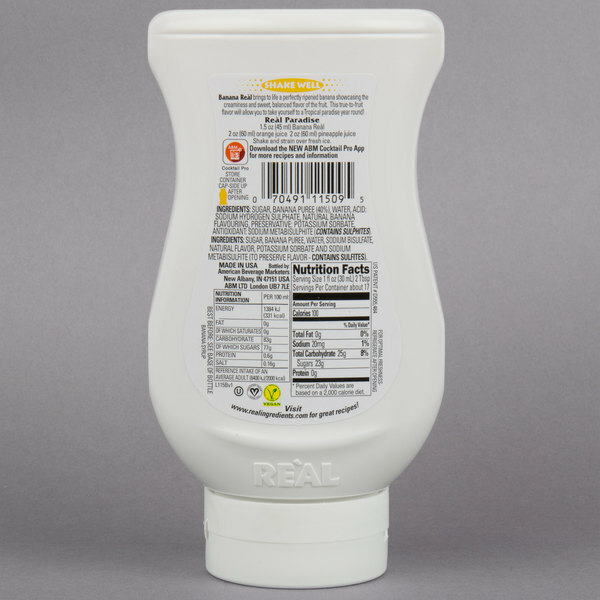 This bottle's wide mouth opening helps to eliminate waste, since you can scrape out any remaining syrup with a spoon or spatula and use up every last drop. The spout is designed to dispense syrup drip-free with no mess. Infuse this banana syrup into your most popular drinks, and mix up new recipes with a one-of-a-kind taste. Thanks to its bartender-friendly packaging, there are no messy cans and there is no trouble storing unused portions. The squeeze bottle will also enhance shelf presence at your venue and guarantee a smooth pour from beginning to end. This is the best thing on the market if you make Strawberry Banana Smoothies , and you want to bring some depth to the banana flavor in contrast to the sweet acidity of the strawberries taste. This banana flavor in it is not your typical Banana, it's some fancy variety that is native to Central America, that is sweet and beefy enough without seeming heavy that allows the customer to really have an island moment ! One word of caution, don't go cheap and just use this as your Banana, throw in at least half of a banana in order to get that texture and body that only the real thing can impart. 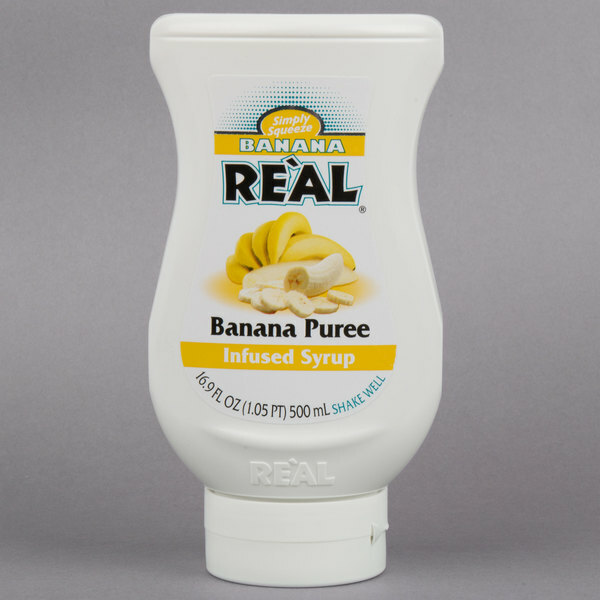 the real banana infused syrup is great for many of our mixed drinks that we serve and the kids like it on pancakes and waffles. we have now tried 13 varieties of real infused syrups and they are the bomb!they have a real fruit taste and can used for mixing bar drinks,deserts,etc. The banana syrup is great and very delicious. The flavor is awesome and makes a great flavoring for slushies and daiquiris. The syrup is a very nice consistency and smells wonderful. 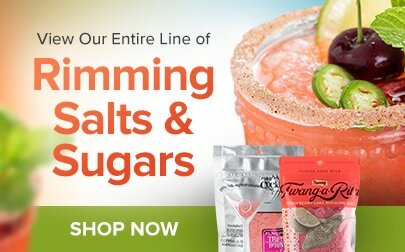 Looking for replacement smoothie flavoring and purchased this product. We tried it in our shop but it just does not have a strong enough flavoring even using more than the recommended amounts.